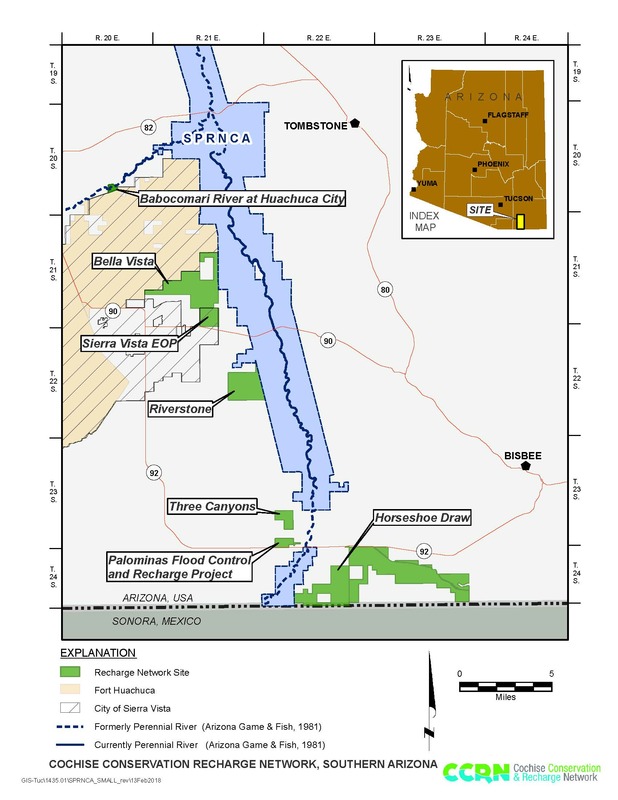 The Babocomari River at Huachuca City Site is located just downstream of the Huachuca City wastewater ponds, on the Babocomari River. 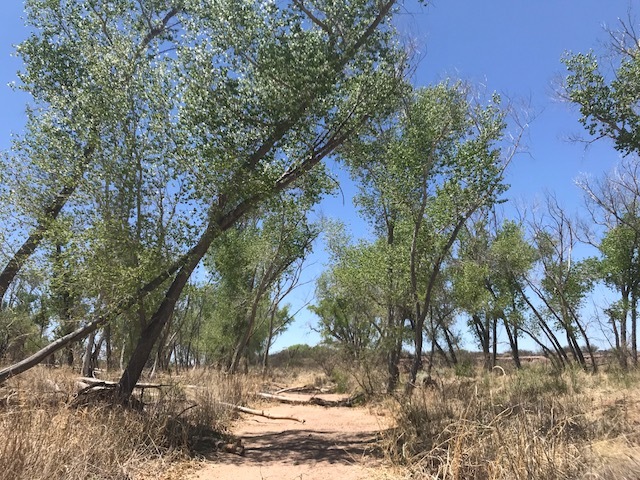 The site is also adjacent to/downstream of three parcels with conservation easements that collectively protect 488 acres of Babocomari riverfront and buffers the north-border of Fort Huachuca’s East Range from additional development. There is no recharge project currently planned at the site, however, initial studies suggest a project here may raise groundwater levels under the Babocomari River, increasing flows in this important tributary of the San Pedro River and connecting sections of the river that do not flow year-round. Initial groundwater modeling studies conducted in 2011 led to the identification of the importance of this site to the San Pedro River. The purpose of the Cochise Conservation and Recharge Network (CCRN) is to implement a regional network of water-management projects that meet the long-term needs of the Sierra Vista Subwatershed. The vision of the CCRN is a flowing San Pedro River, the conservation of water resources, and a vibrant local economy. The CCRN was formed in 2015, and includes Cochise County, the City of Sierra Vista, The Nature Conservancy, Hereford Natural Resources Conservation District, and the City of Bisbee.